With spring here, it’s a time of year many folks might be considering taking the big leap into marriage, or at least beginning the process of wedding planning. Of course, for us that means thinking about your wedding photos! While getting a nice 8 by 10 to put on a nightstand is always appreciated, there’s some other ideas to keep in mind when it comes to displaying wedding photos we hope you’ll consider! Give some thought to what you’ll do with the photos beforehand. If you’re planning on using your wedding photos for scrapbooking, that’s going to give you some different photo ideas than if you’re planning on just putting some frames around the house. 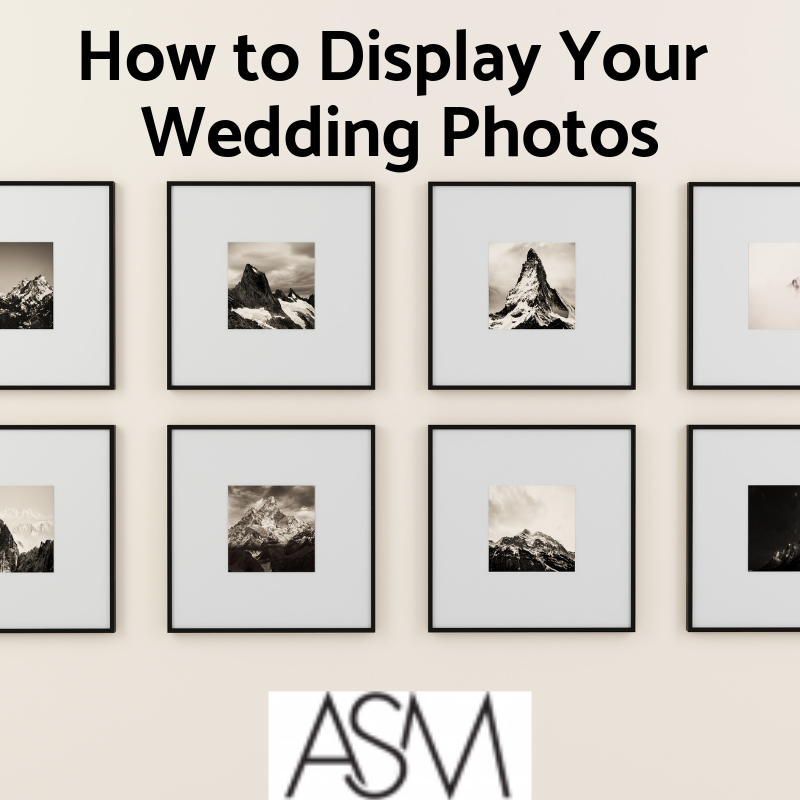 Don’t be afraid to incorporate larger photos into your plan, with full landscapes of your wedding party or the venue taking a center place in some displays. Discuss some of your display ideas with your photographer and they may be able to make pose suggestions that fit with your theme you wouldn’t have considered! 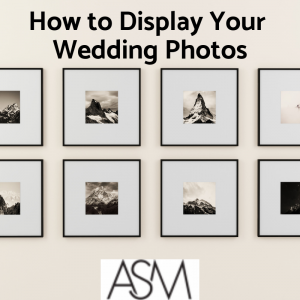 We already covered in general how to set up a gallery wall in your home here, but there’s a few extra ideas that can help when it comes to setting up a gallery wall for your wedding photos. As we noted in that article, it’s helpful to include items beyond just the photos themselves. Adding such ideas as a shadowbox frame of your cake topper, or a copy of wedding bulletin have no doubt occurred to you, but also memorabilia from the coffee shop you had your first date at or a copy of the keys from your first shared apartment can be great accents. Regardless of how you decide to display your wedding photos, we cannot recommend enough the beauty and preservation that you gain from high quality custom framing. Visit our showroom and learn more about what sets our custom framing service apart from the rest of the competition to give your photos the best display possible!